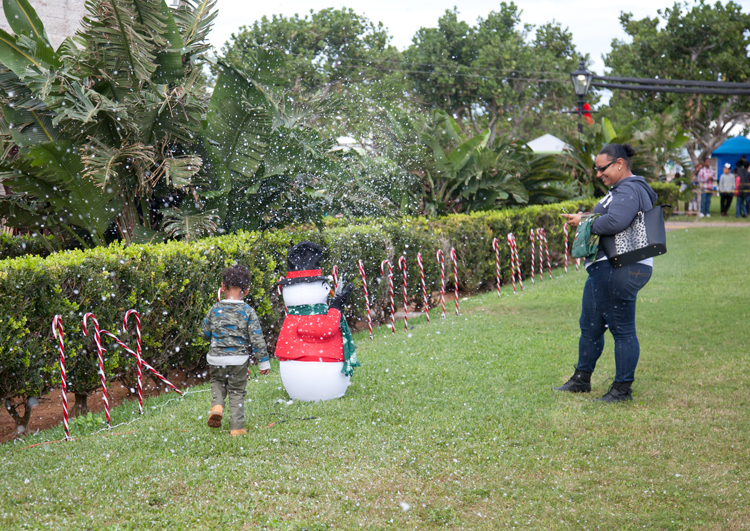 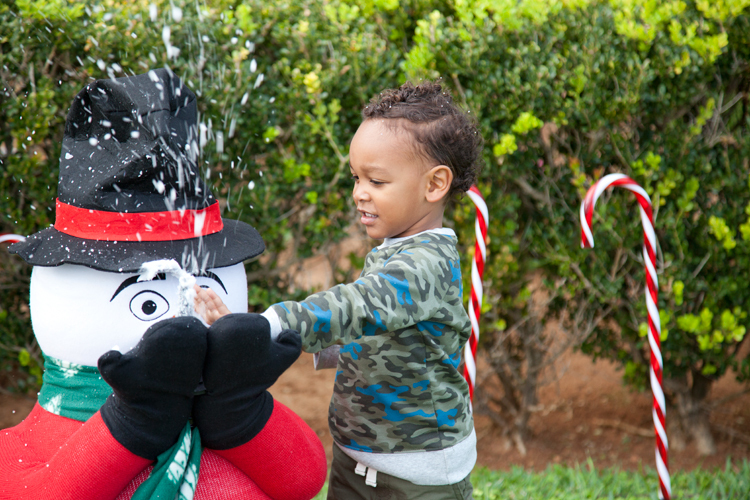 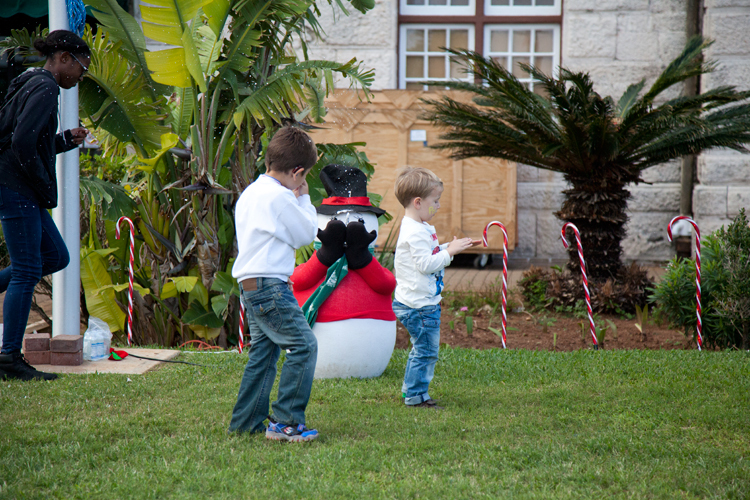 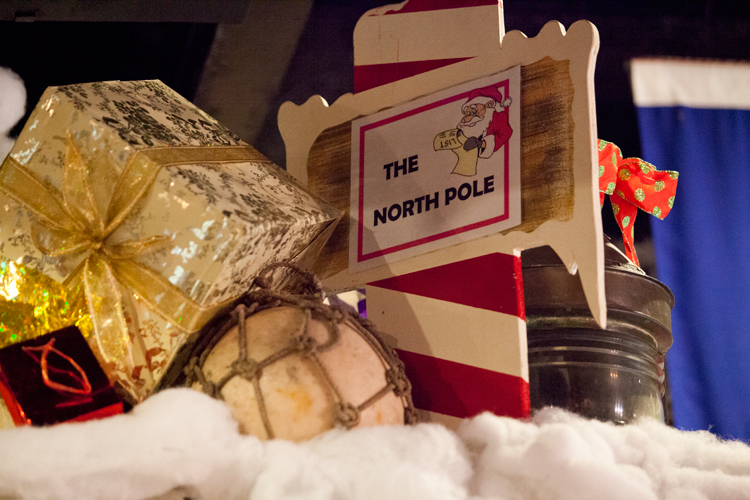 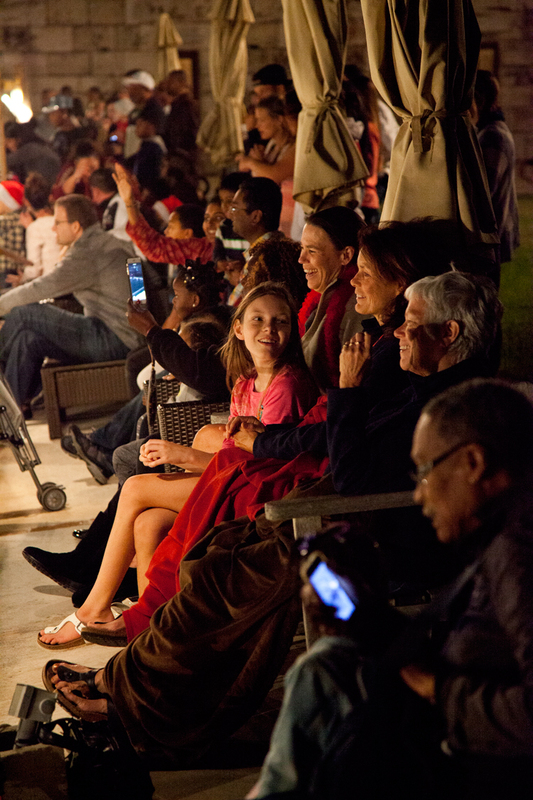 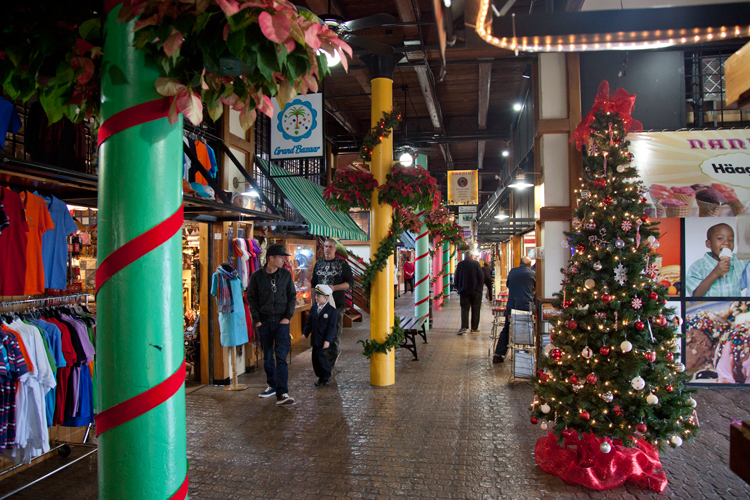 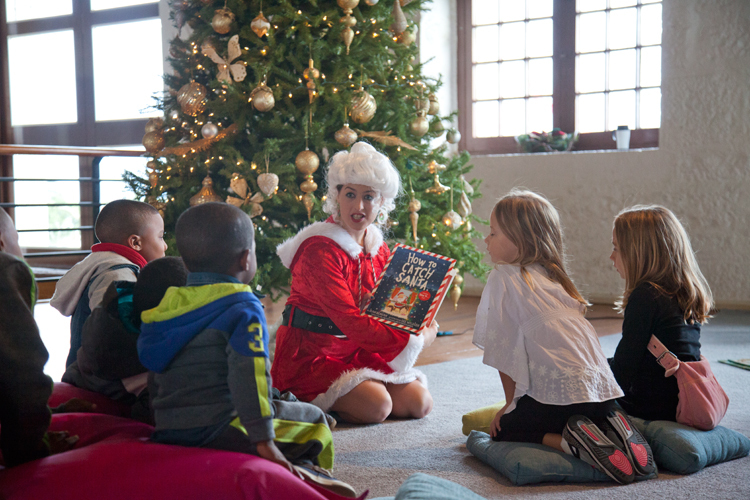 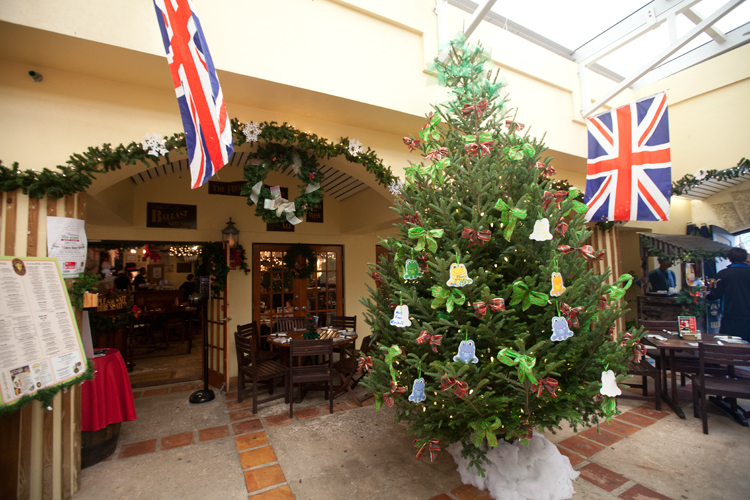 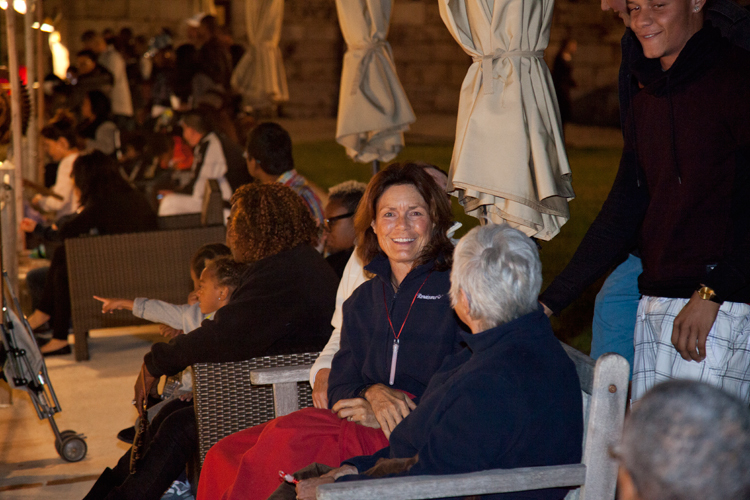 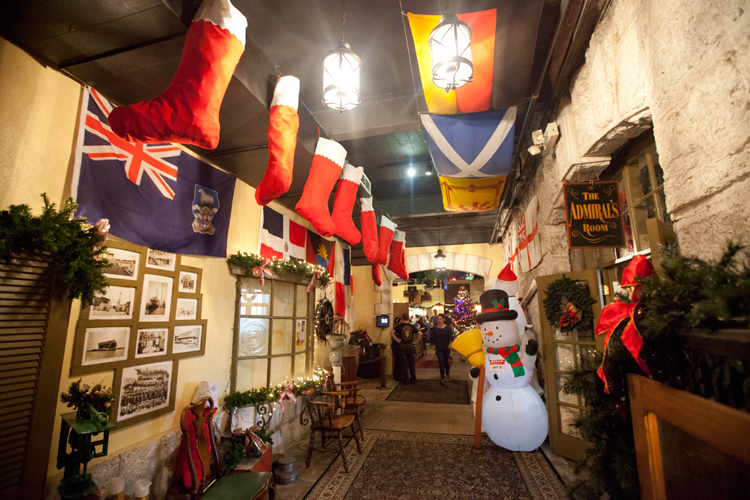 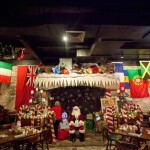 The Christmas season has been celebrated throughout the month at Dockyard, with the holiday events including games, music, activities, stories with Mrs. Claus, the annual Sing Carols with Dolphins, and more. 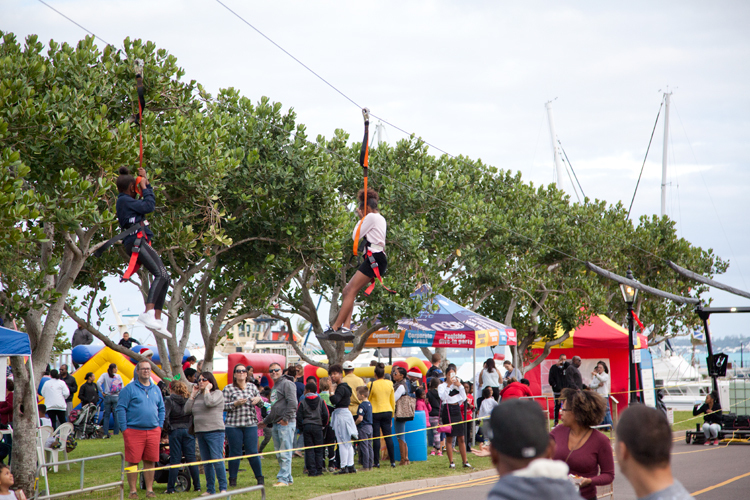 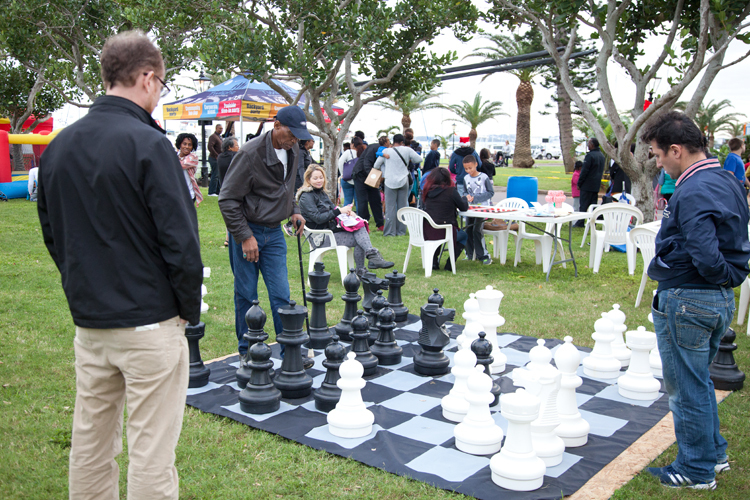 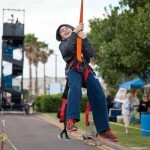 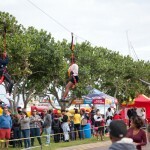 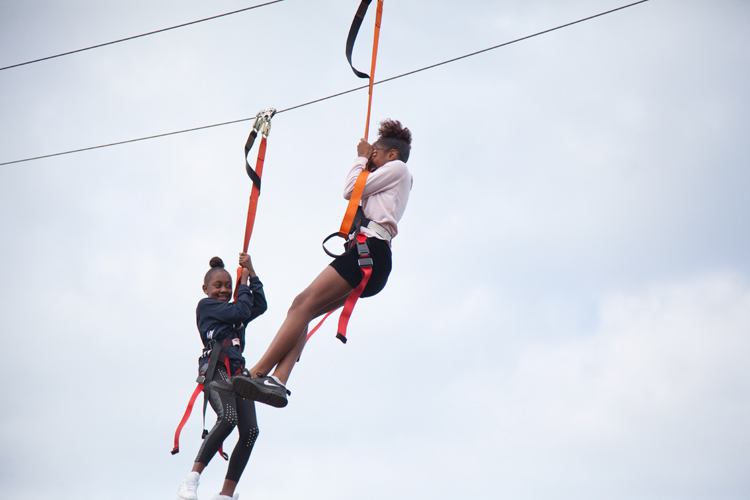 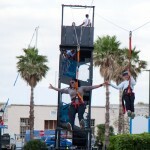 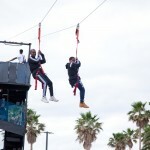 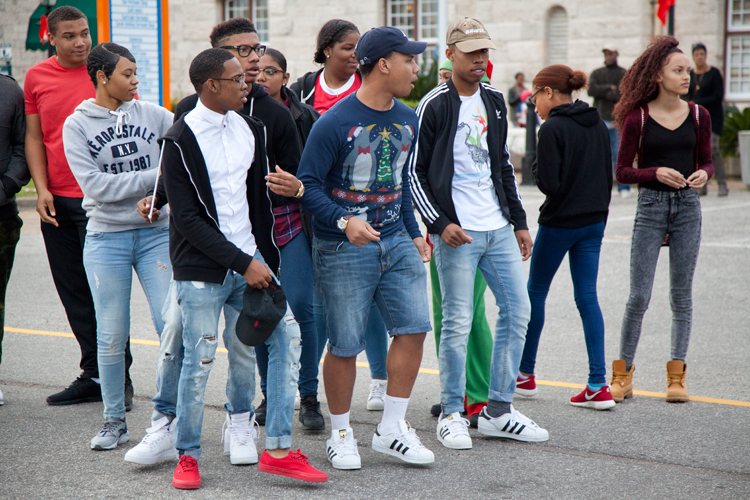 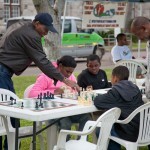 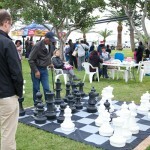 A spokesperson said, “Fun Day was held with games, music and activities to enjoy. 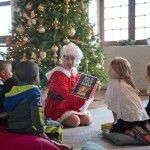 Mrs. Claus was reading stories to kids in the Clocktower Mall. 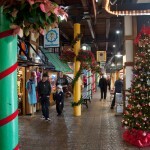 The Mall offered a Christmas shopping promotion; when you spent $25 in the Mall you were entered into a draw for a prize worth $50. 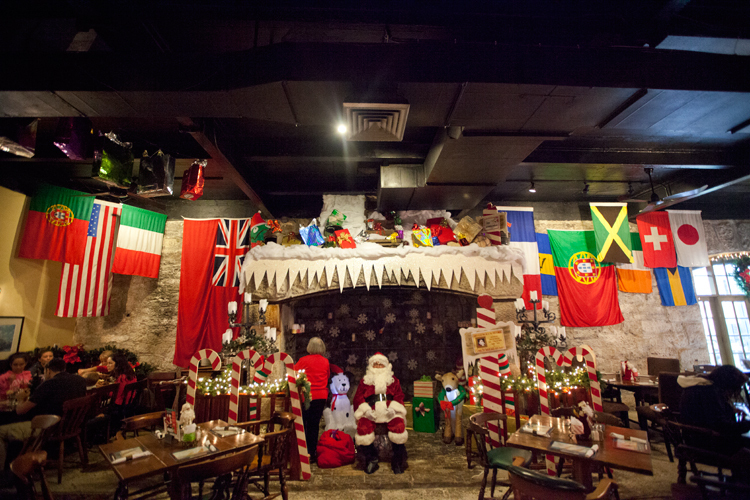 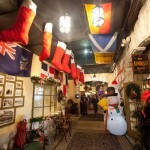 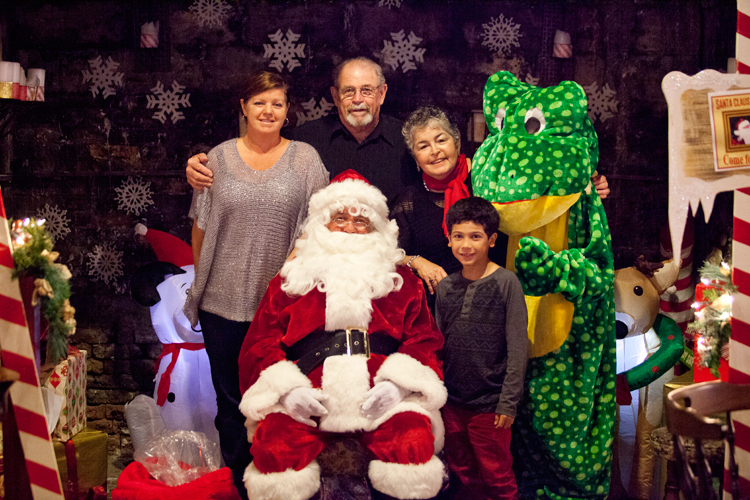 “You could visit Santa and experience other Christmas festivities at the Frog & Onion and Craft Market with Christmas in the Cooperage. 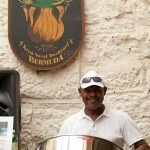 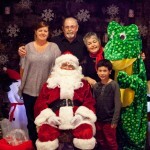 Jean Paul the Frog Mascot was also there, along with live music. 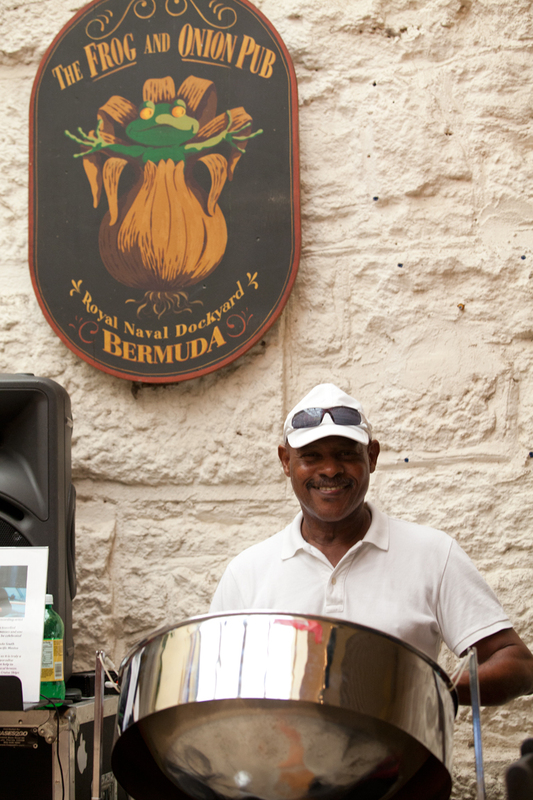 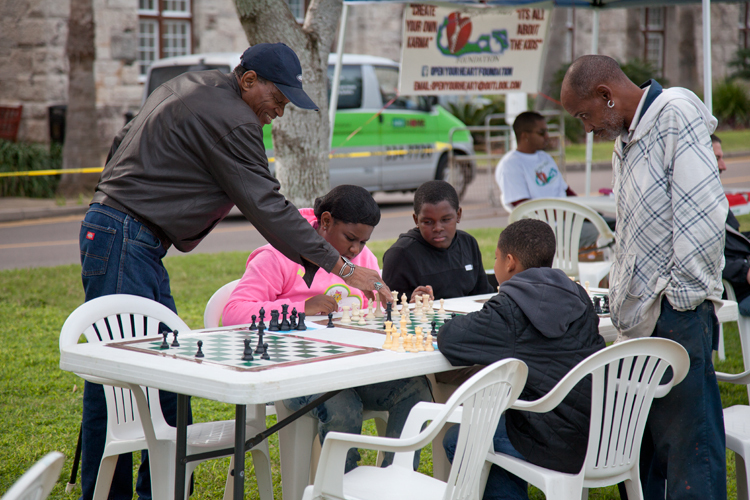 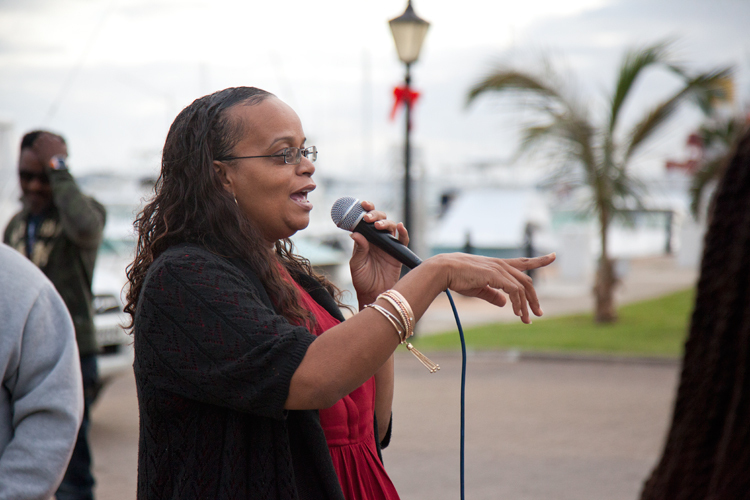 “There were also book signings by several local authors, who were on hand to talk about and individualize their books as gifts, and you could start the day with a complimentary historical walk of Dockyard, which started at the Anchor Fountain. 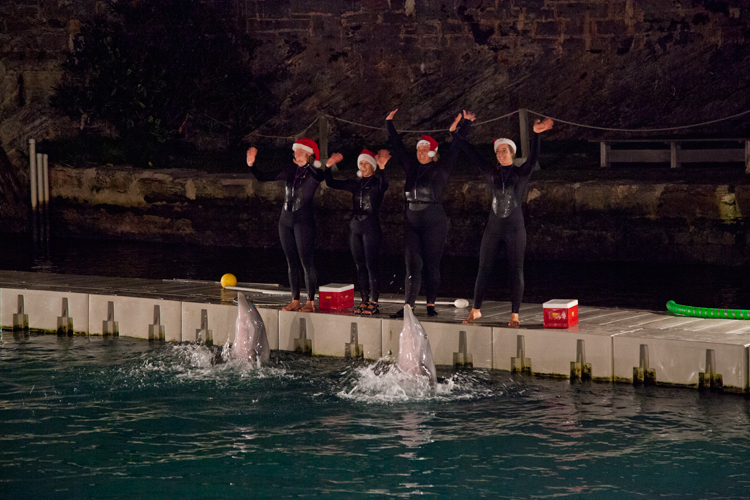 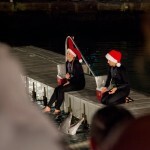 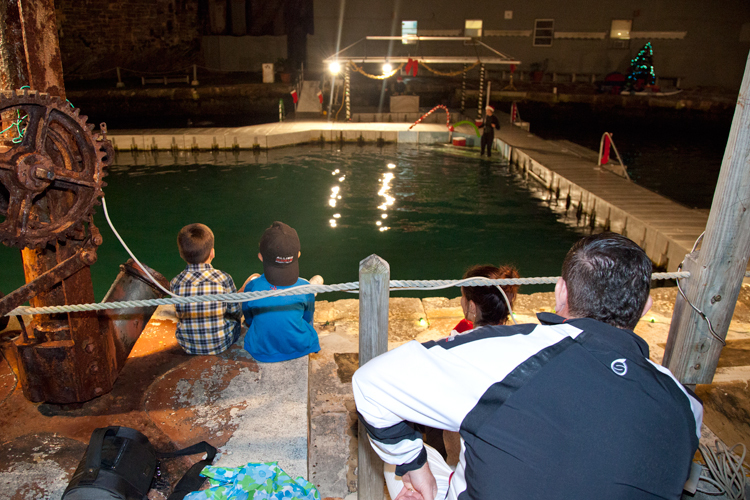 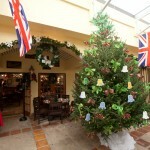 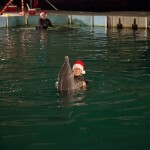 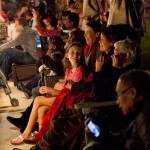 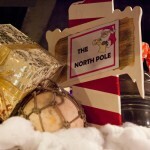 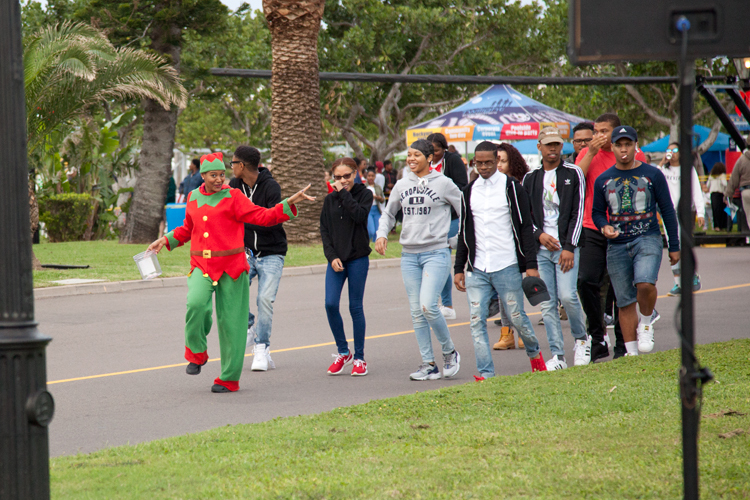 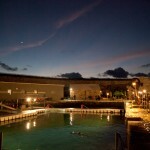 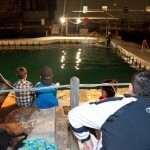 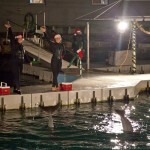 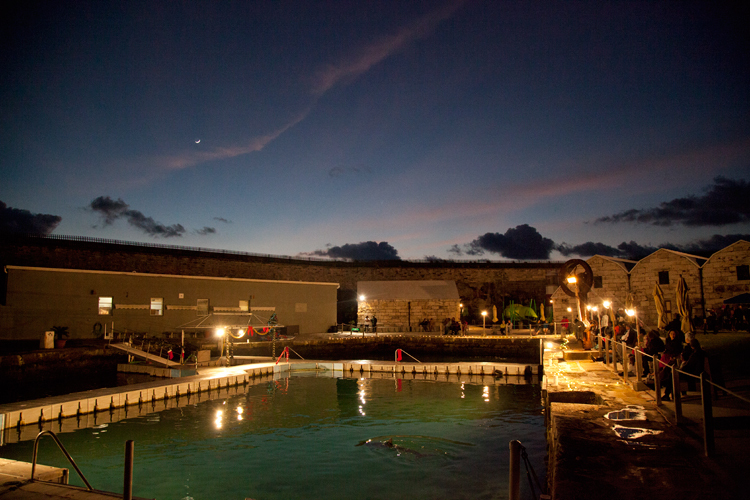 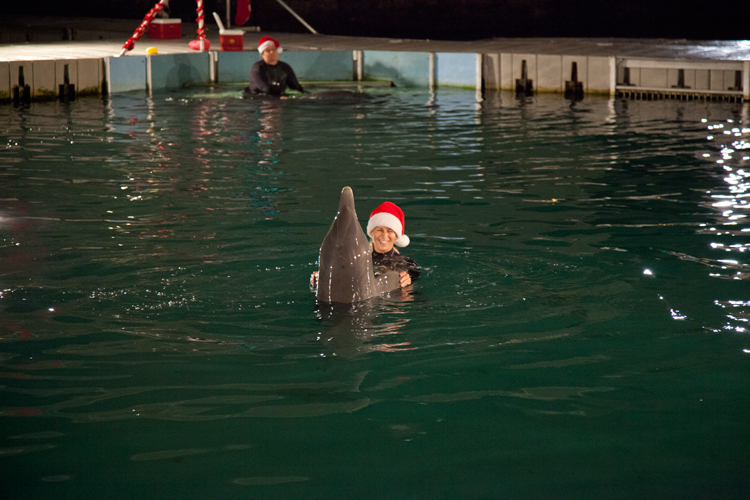 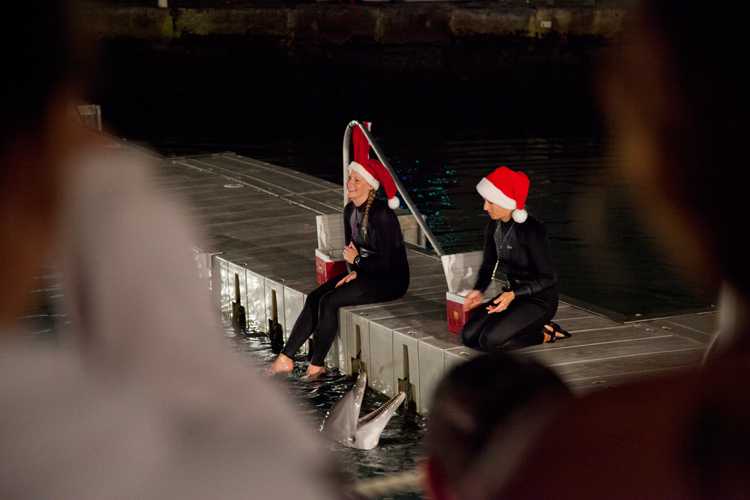 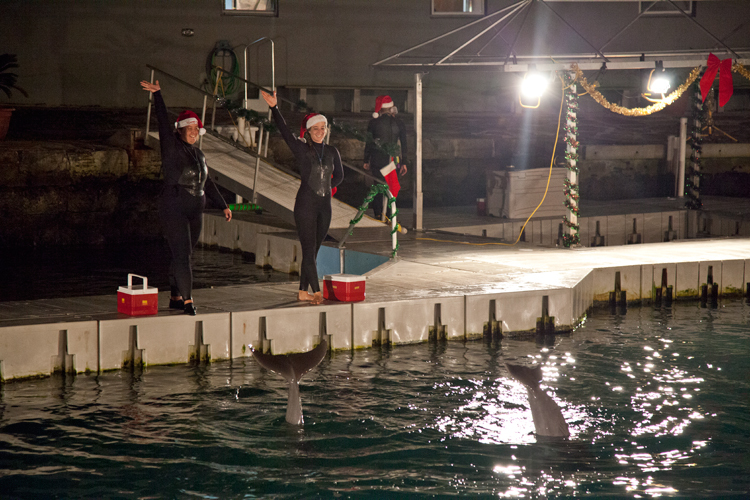 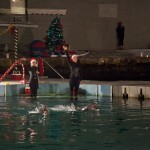 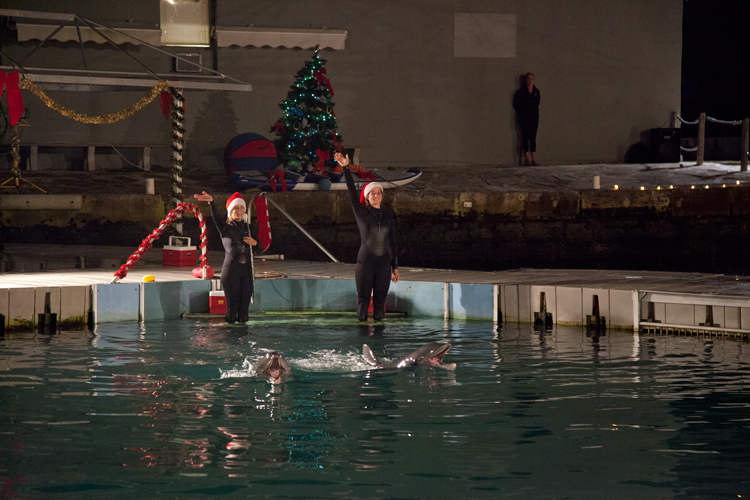 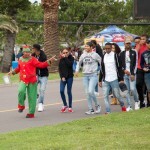 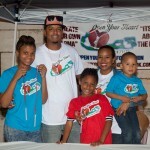 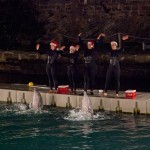 “The main event was our annual Sing Carols with Dolphins at Dolphin Quest. 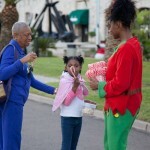 Santa, Mrs. Claus, and their elves were handing out glow sticks prior to the event while greeting people at the Museum Gates. 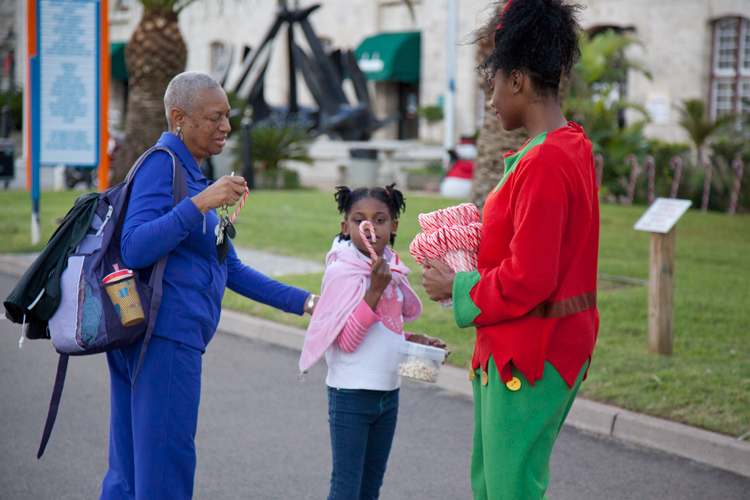 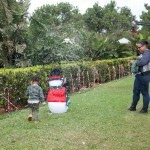 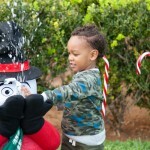 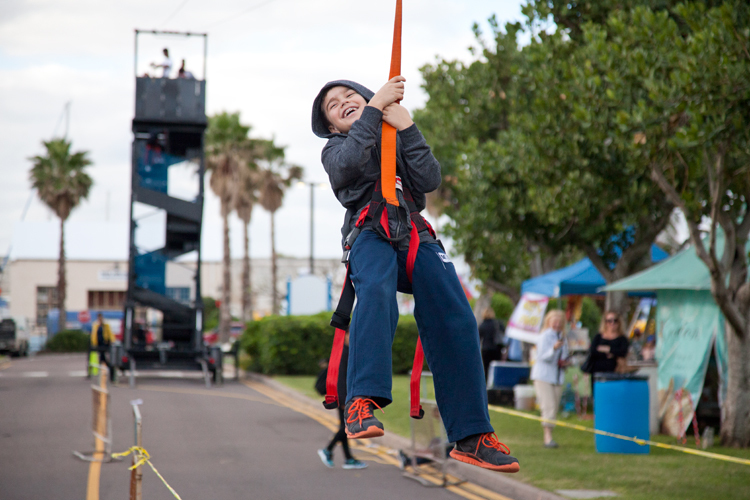 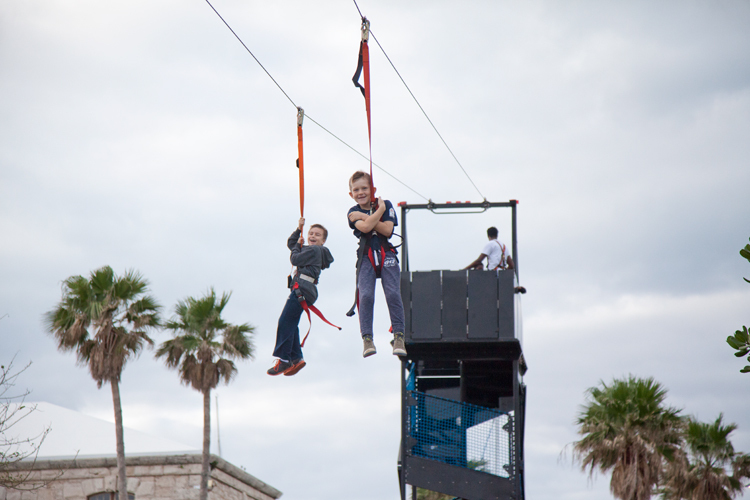 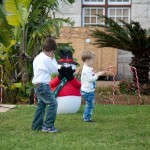 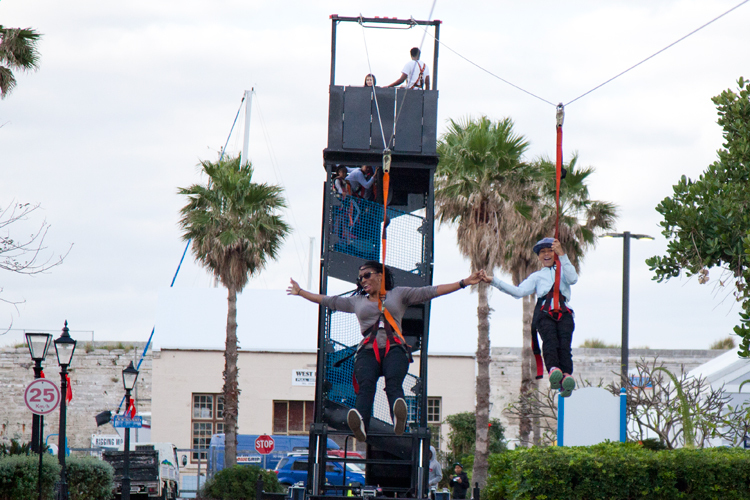 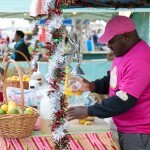 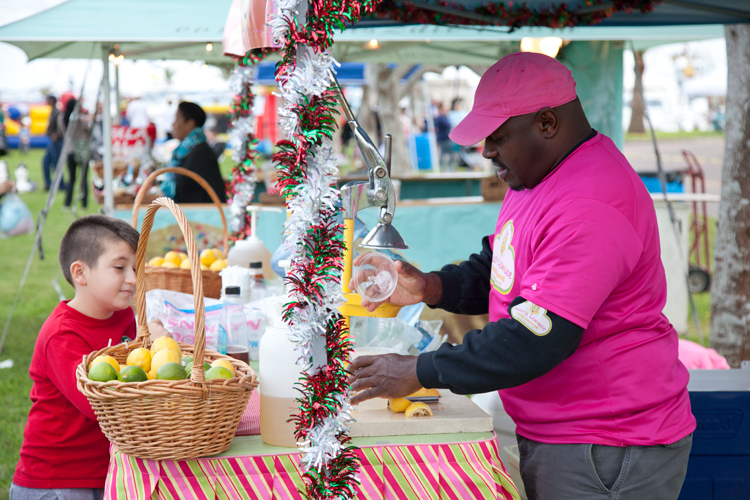 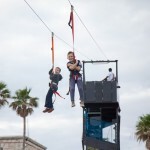 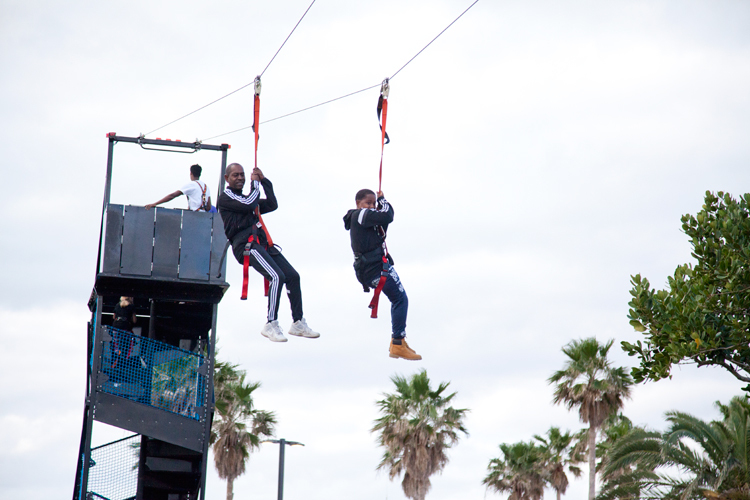 “On December 20, Fun Day also included free zip line rides, fun castles, and more, including a media trailer with videos so the crowd could dance to the popular songs, Mrs. Claus reading stories to kids in the Clocktower Mall, elves giving out candy canes, a free gift wrapping station, vendors, and Snowman snow machines for kids to play in the snow. 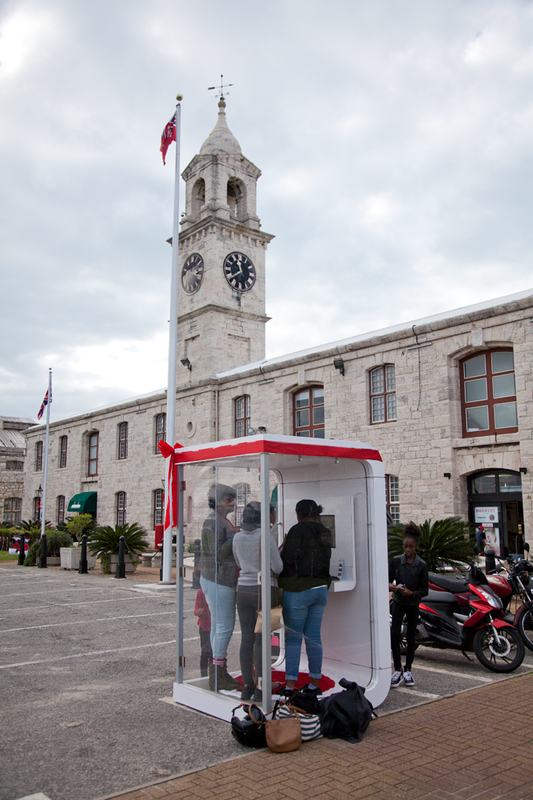 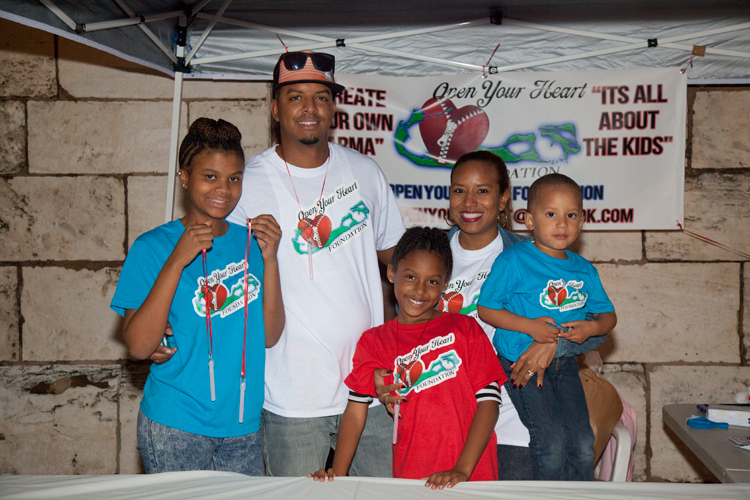 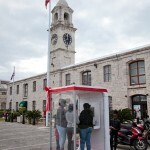 “There was also a free photo booth to capture the memories and post directly to social media.